Which World Cup teams include the most foreign-born players? 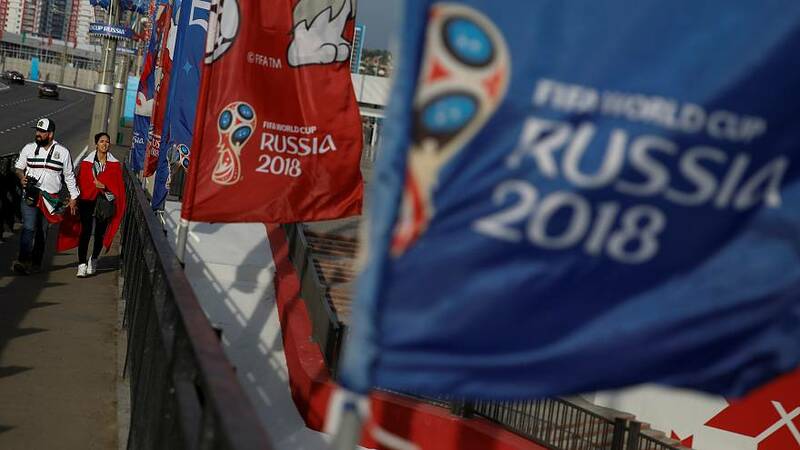 According to FIFA’s guidelines, a player can play for any country for which they hold a permanent nationality as long as they have not played a senior, competitive match for another national team. There are also exceptional rules for players with multiple nationalities who would like to switch countries, provided they qualify for the nationality of the country to which they wish to switch, and were either born on its territory, have a biological parent or grandparent who was born on the territory, or have lived on the territory for at least two years. 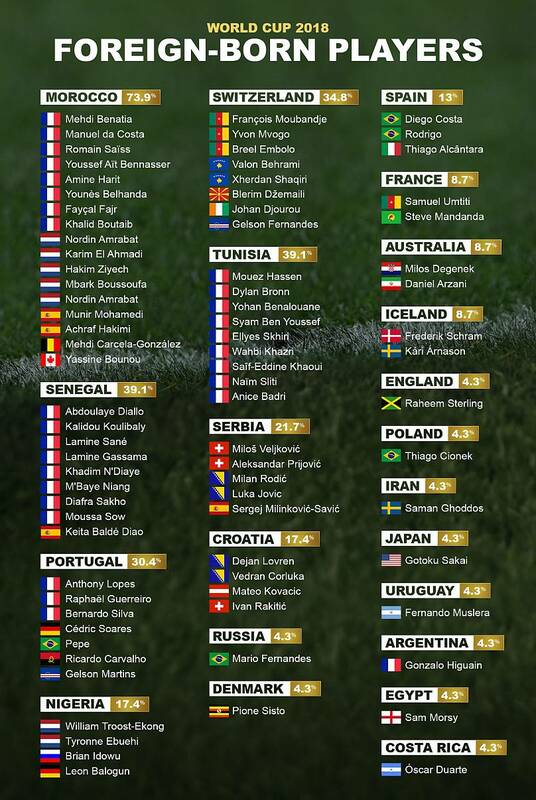 Here is a list of all the national teams competing in the 2018 Fifa World Cup who count foreign-born players among their ranks. There are 22 of them.